The Federal Government of Nigeria has commenced an investigation into allegations that a United Kingdom-based firm, Cambridge Analytica interfered into the 2015 elections. An ex-employee of the firm, Christopher Wylie, has alleged that the firm employed hackers to dig ‘dirty’ information about President Muhammadu Buhari who was a candidate of the then opposition All Progressives Congress (APC). Wylie, who served as a whistle-blower alleged that a Nigerian billionaire and supporter of the then President Goodluck Jonathan paid £2million to Cambridge Analytica for its services which include hacking into the medical records of Buhari. He described the billionaire as a Nigerian businessman who wanted to ensure former President Goodluck Jonathan’s re-election. 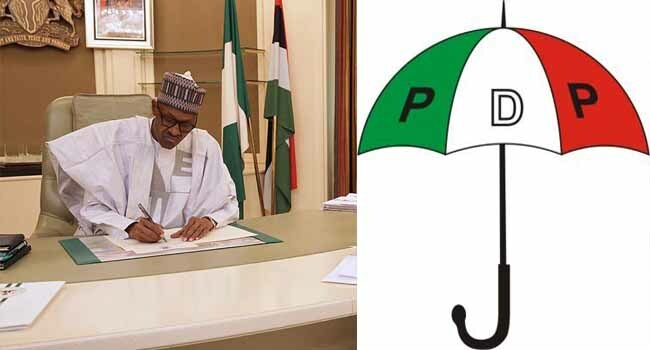 A source from the Presidency told journalists on Sunday that the Federal Government has set up an in-house committee to investigate if Cambridge Analytica worked for the then ruling Peoples Democratic Party (PDP) and infringed or broke laws of Nigeria. “The Government is scrutinising the reports of the data mining firm Cambridge Analytica, which swiped the data of more than 50 million Facebook users to sway elections in many countries including Nigeria, where it waged a campaign to perpetuate discord and hack into personal records of the then leading opposition candidate, Muhammadu Buhari. The presidency source added that, depending on the outcome, this may lead to the appointment of a special investigator and possibly, criminal prosecutions by the Attorney-General and Minister of Justice, Abubakar Malami. The Senior Special Assistant to the President on Media and Publicity, Garba Shehu when contacted said, although he had not been briefed on the issue, Nigerians deserved answers immediately from the PDP administration, Facebook and Cambridge Analytica on how and why they improperly obtained and used data to interfere in Nigerian elections. Cambridge Analytica, a UK-based company in a wake of controversies has earlier been accused of obtaining data of Facebook users for election manipulation. Currently, the Cambridge Analytica and Facebook are the focus of an inquiry into data and politics by the British Information Commissioner’s Office, the United States Special Counsel Robert Mueller and, separately, the UK Electoral Commission is also investigating what role Cambridge Analytica played in the EU referendum. Former Media Director for Goodluck Jonathan Campaign, Femi Fani-Kayode, had earlier denied any link between the PDP and Cambridge Analytica. Fani-Kayode on Channels Television programme, Sunday Politics said the PDP was not involved in hacking information during 2015 election and did not involve in digging into personal information of its opponents. “As far as the presidential campaign organisation is concerned, we have absolutely no links whatsoever with this company or with anybody that seeks to do anything that is illegal or criminal or to undermine any government or anyone that wants to run for an electoral position in this country,” he said. Fani-Kayode, who played a significant role as a director in Jonathan’s Campaign Team, said further that President Jonathan enjoyed a lot of goodwill from friends and therefore the name of the billionaire should rather be revealed than allegations thrown at the PDP.